For Tracey Killalea, property is in the blood. Having parents who bought and sold many properties during her childhood and also having developed land, Traceyâ€™s passion was sparked early. It led to several renovations of her own and the next logical step was real estate. 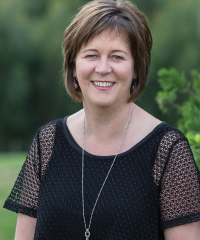 Ten years on, in sales and as a licensed real estate salesperson â€“ in Wellington and now Tauranga -Tracey fully appreciates the expectations of clients and what they need to achieve. People are the heart of this industry â€“ buyers and sellers. Both need a result; both deserve due attention. Communication is the key. Listen first, act accordingly â€“ and success follows. Tracey thrives on meeting people and building relationships. Helping achieve their goals all round gives her immense satisfaction. Which explains why Jeremy Pryor has Tracey on his team. An award-winning and highly successful salesperson, Jeremy moved recently to Sothebyâ€™s International Realty and Tracey joined his team. Together they ensure clients receive the best service and total commitment. These are values which underpin Sothebyâ€™s standards and why its reputation is highly regarded here and internationally. Being part of Sothebyâ€™s has been a brilliant move for Tracey, a company recognised for raising the bar in the real estate industry. Itâ€™s a winning formula with effective outcomes. What better incentive could you ask for?